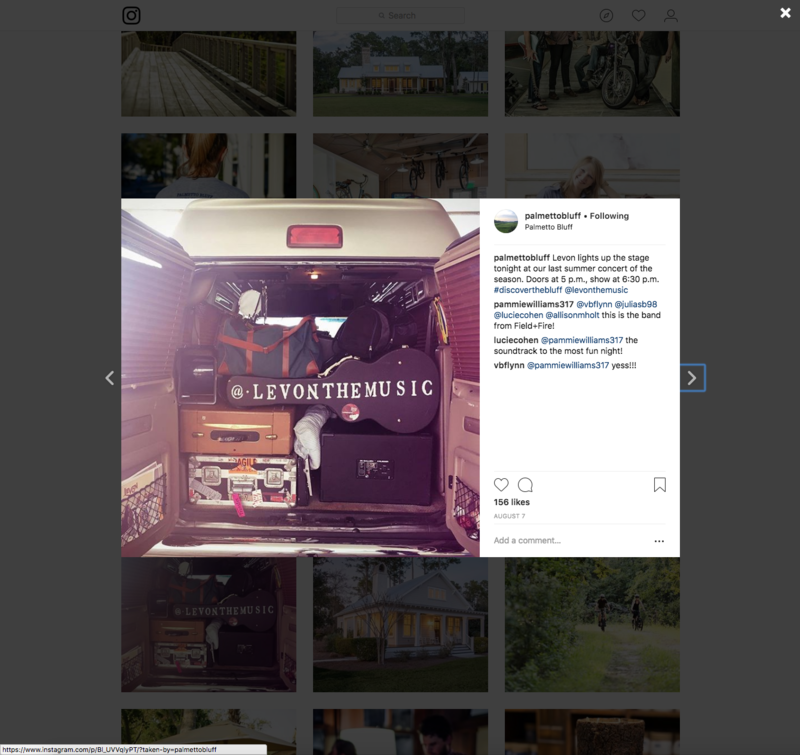 We love living in the Lowcountry of South Carolina, and are inspired everyday by our surroundings and think our local businesses are some of the best. 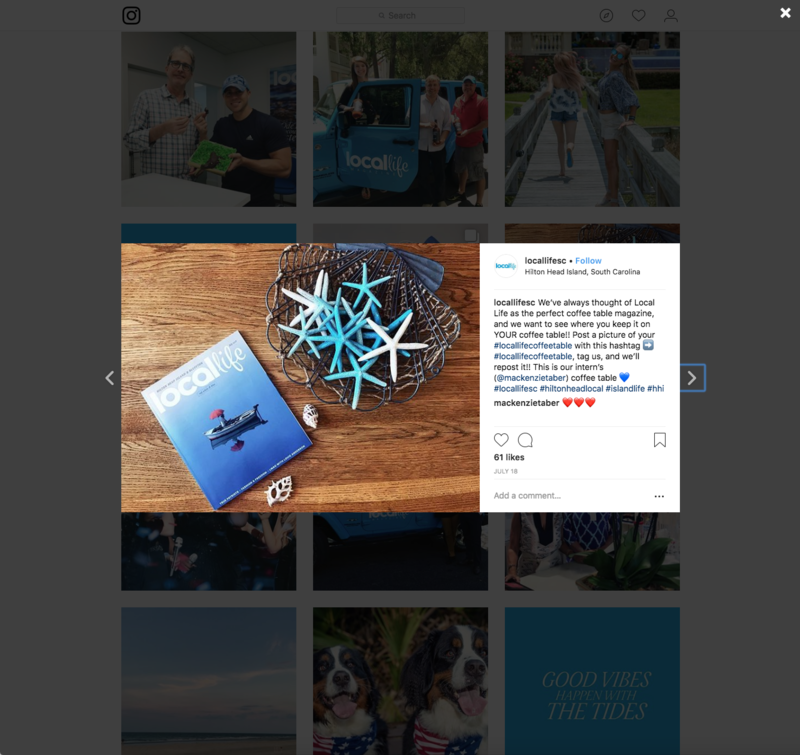 We wanted to give a little praise to some of our favorite local Instagram accounts we follow, that are killing the social media game. 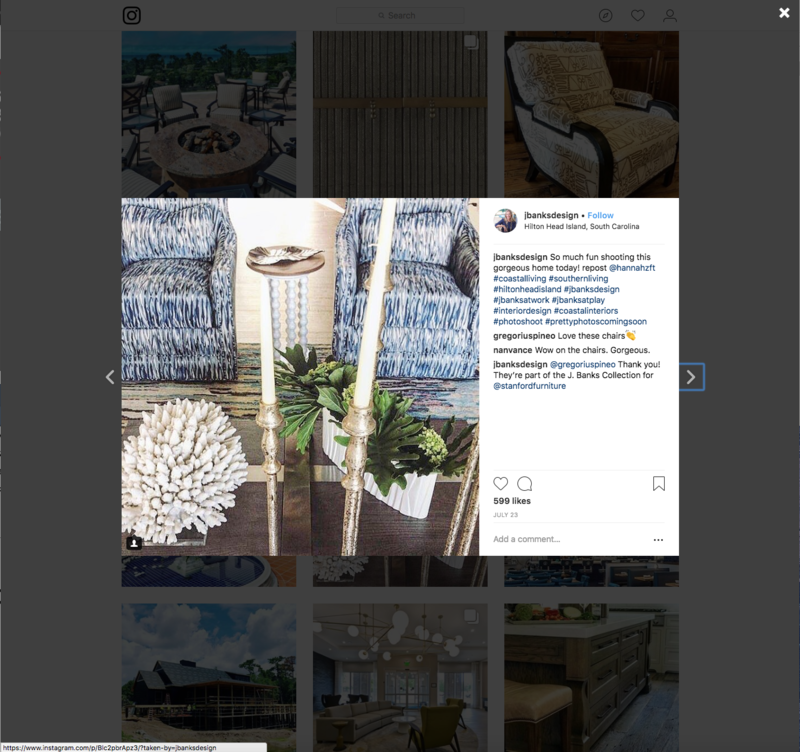 J Banks Design is a local interior design firm that has taken their residential and commercial design expertise internationally, focusing on new construction and renovation within high-end resort communities. 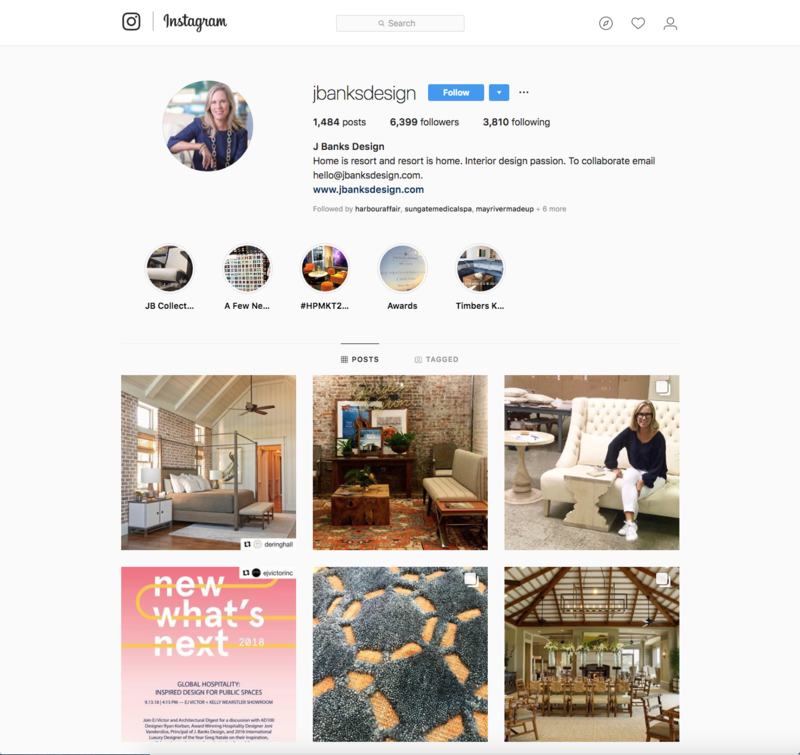 Find more at https://www.jbanksdesign.com/. 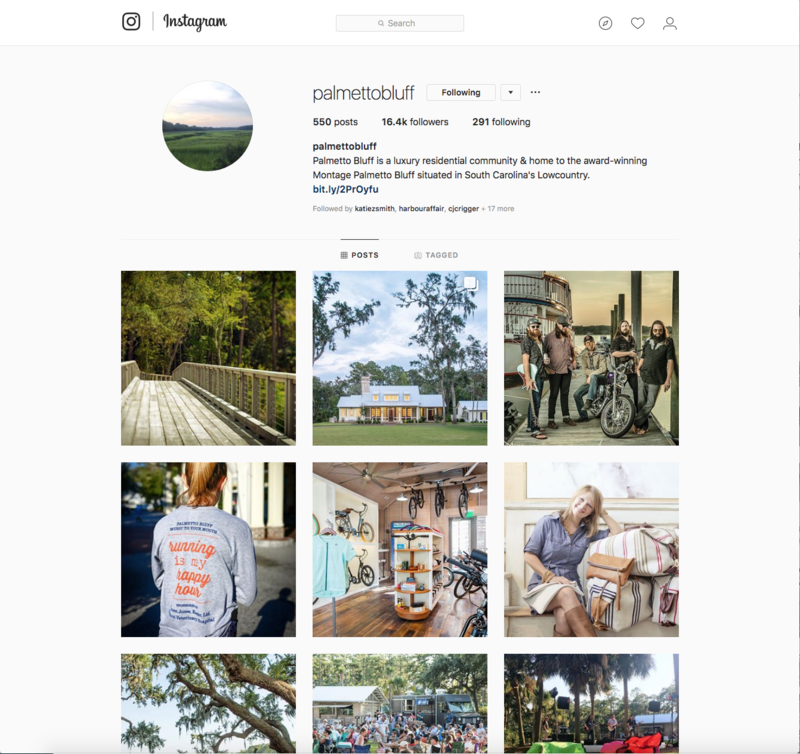 Palmetto Bluff is a local community with vibrant residential homes and recreational preserve enriched by wilderness and wildlife, unspoiled rivers and salt marshes and the sounds and smells of nature. 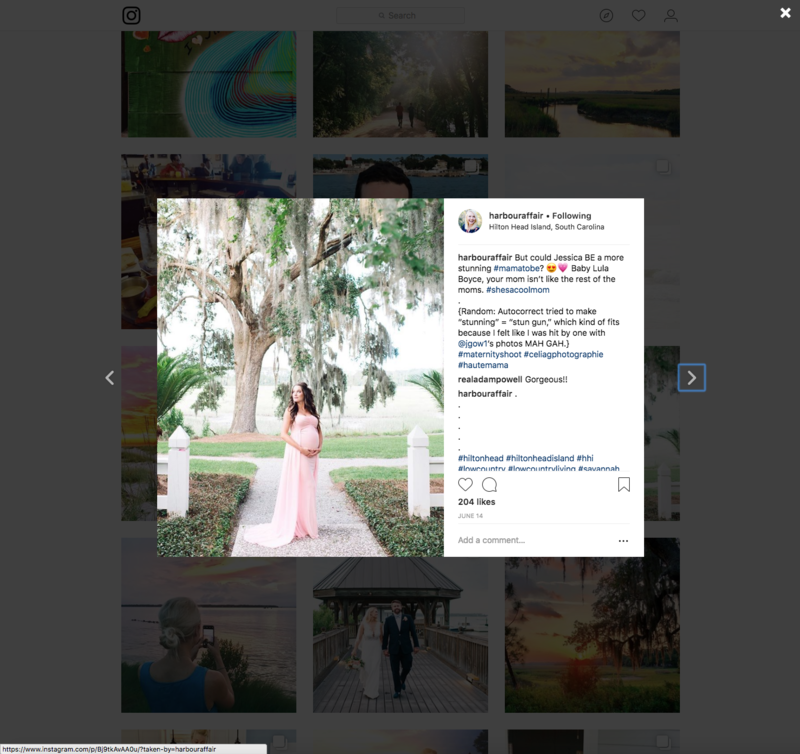 Find more at https://www.palmettobluff.com/. 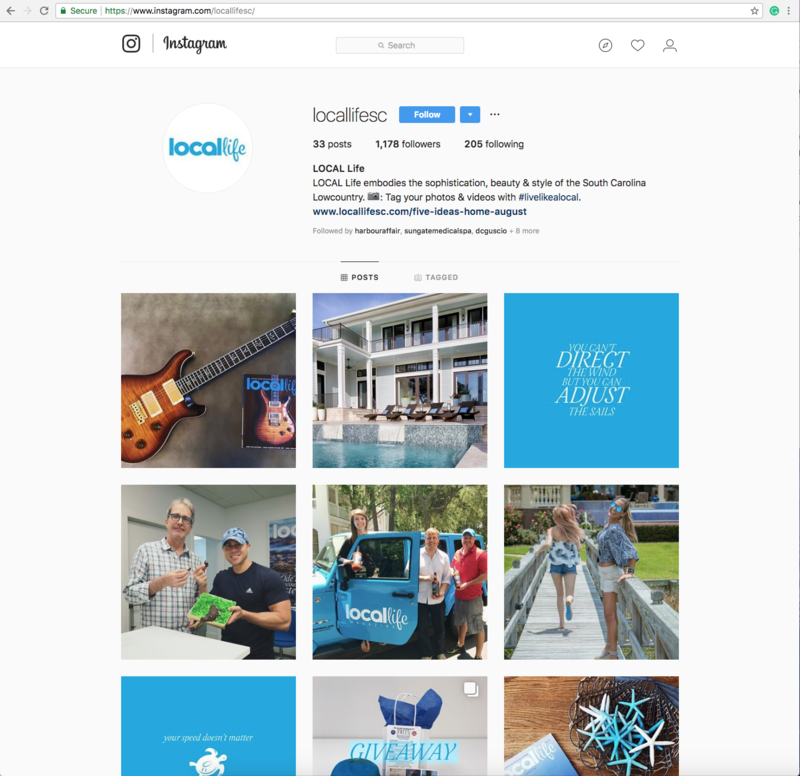 LOCAL Life is a local magazine about living well in the Lowcountry. Find out more at http://www.locallifesc.com/. 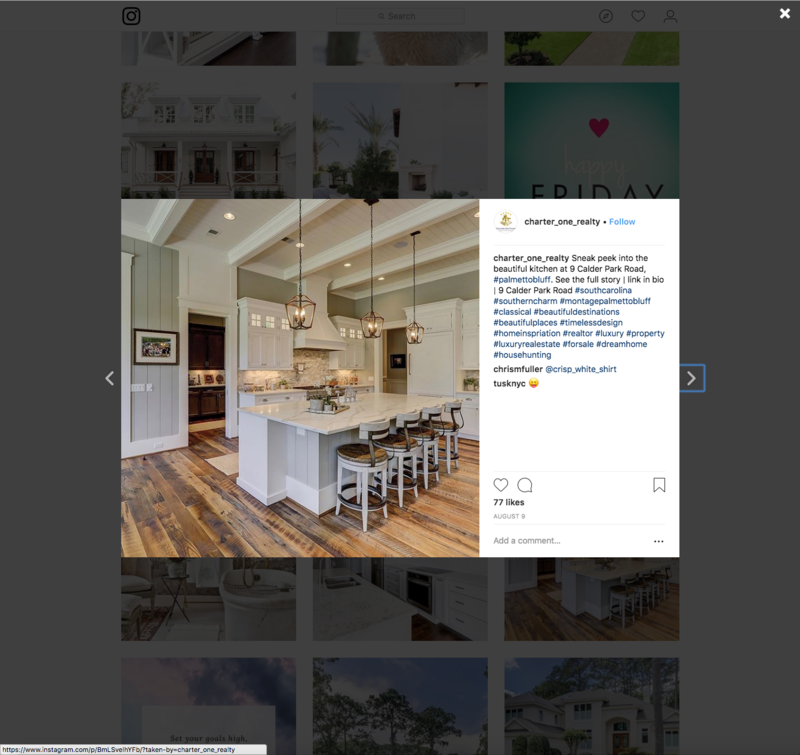 Charter One Realty is a local real estate company based on Hilton Head Island and the surrounding Lowcountry areas, including Bluffton and Sun City. 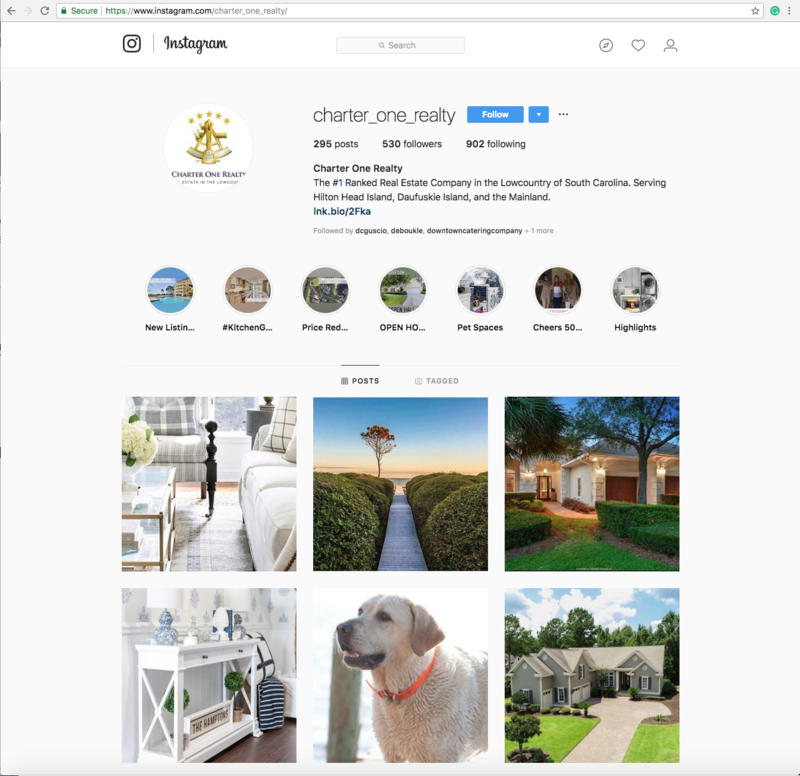 Find out more at https://www.charteronerealty.com/. 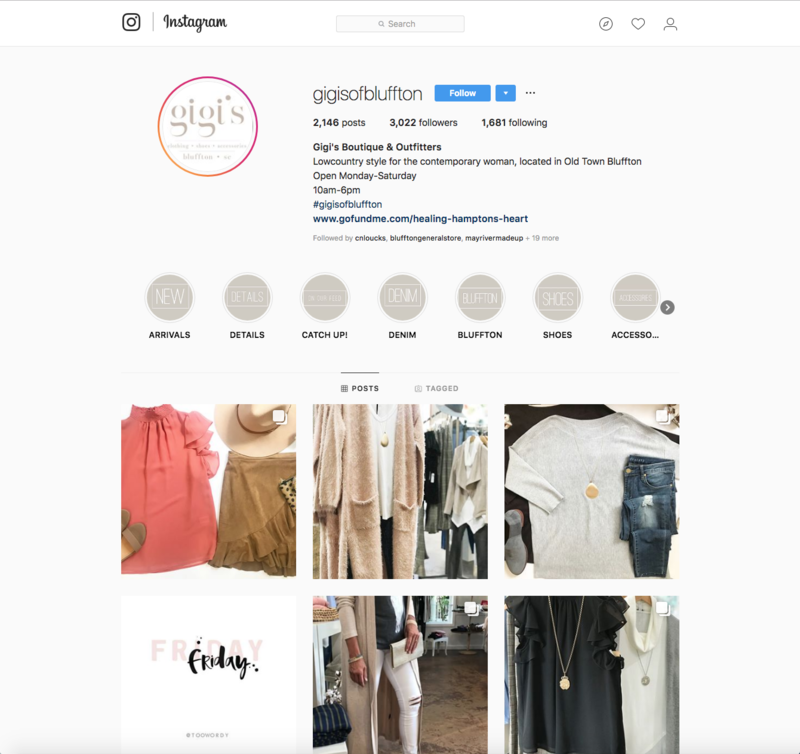 Gigi's Boutique is a local women's clothing store located in Old Town Bluffton, which focuses in Lowcountry style for the contemporary woman. Find more at https://www.gigisbluffton.com/. 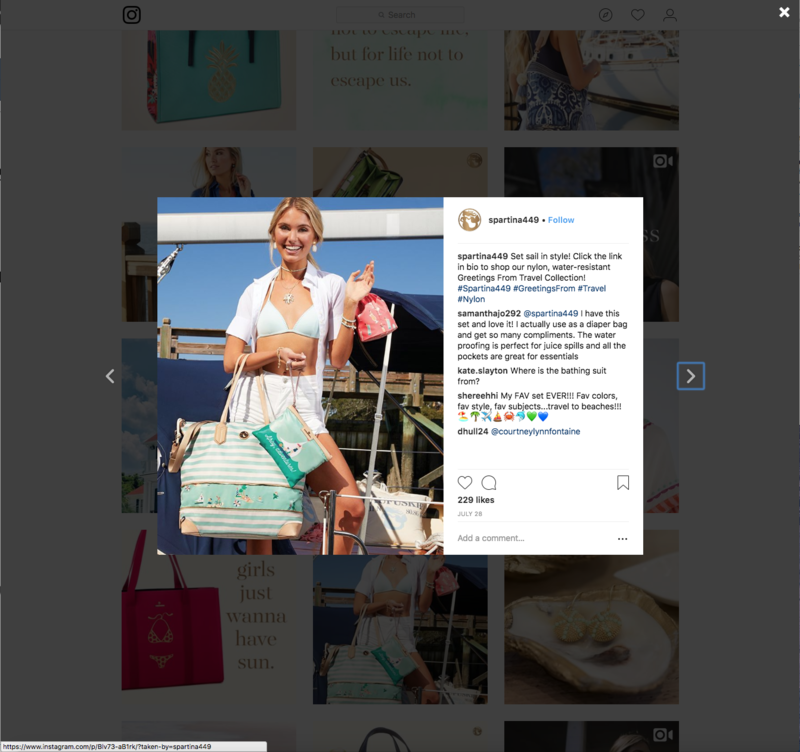 Spartina 449 is a Hilton Head Island based women's handbag and accessory company, which is designed locally with high-quality linen and leather products made to reflect the color and beauty of Daufuskie Island and the Lowcountry with a collection of handbags, accessories and jewelry. 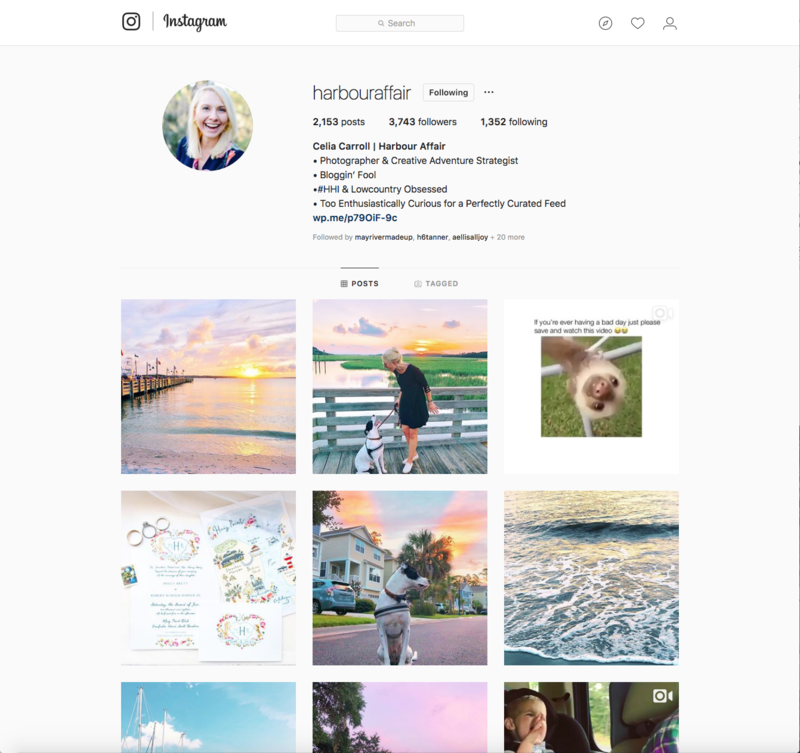 Harbour Affair is a Hilton Head Island-Bluffton based blog that was started by local, Celia Carrol for her photography business. Find more at https://harbouraffair.com/. 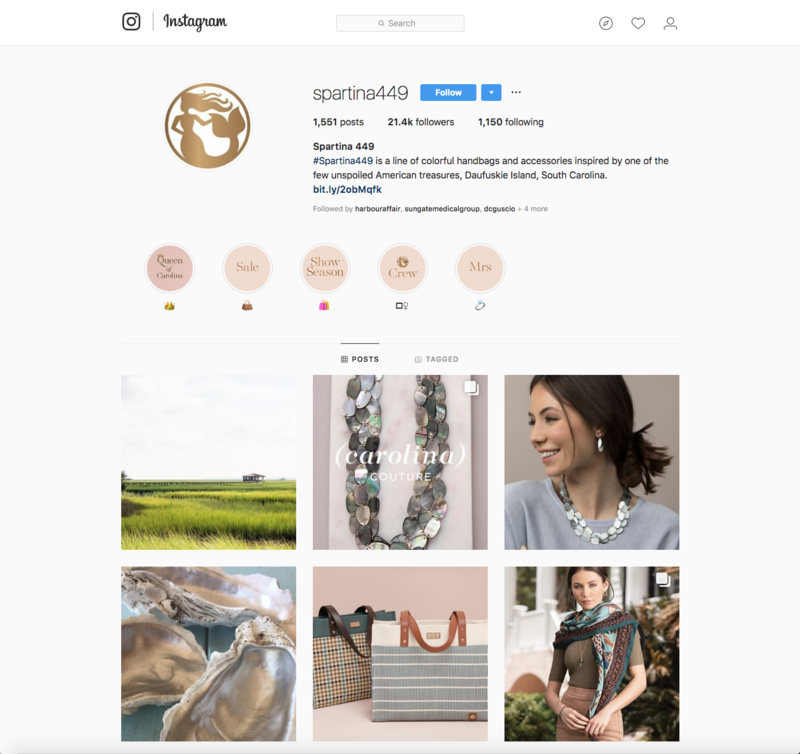 Hopefully this will inspire you to reach the full potential of your business through Instagram. 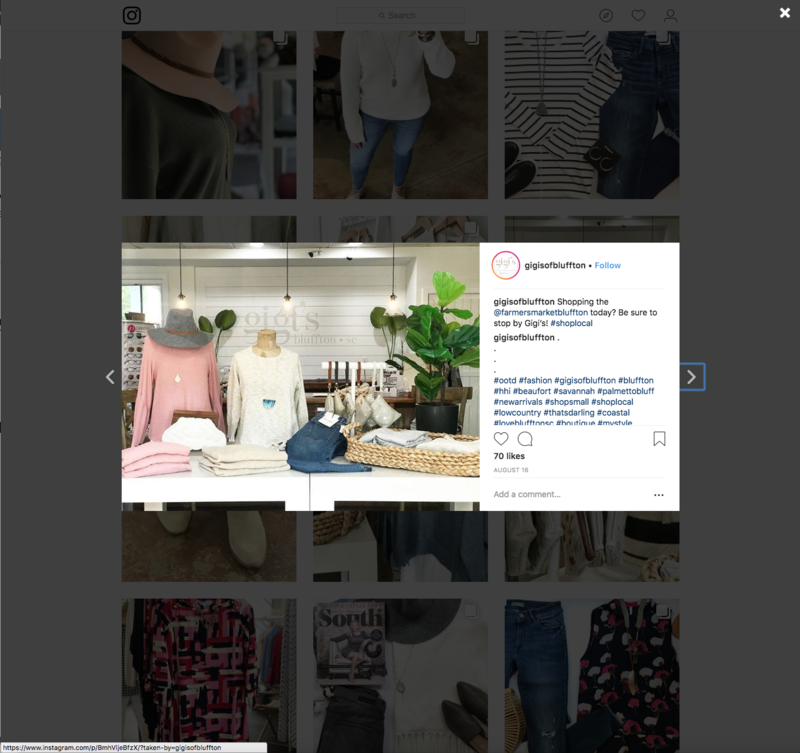 The ability to have organic reach and engagement all through photographs and engaging hashtags is unique and can set you apart from your competitors.